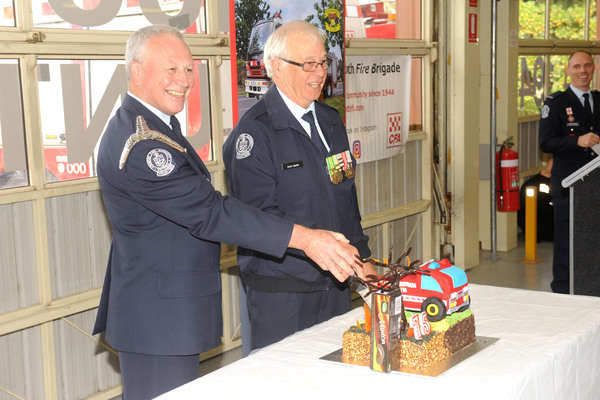 Narre Warren North fire brigade has achieved a milestone of 75 years serving its community. 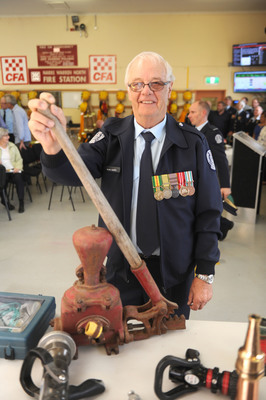 It was 11 February 1945 when residents banded together to form the brigade with donations exceeding 20 pounds at its first meeting. 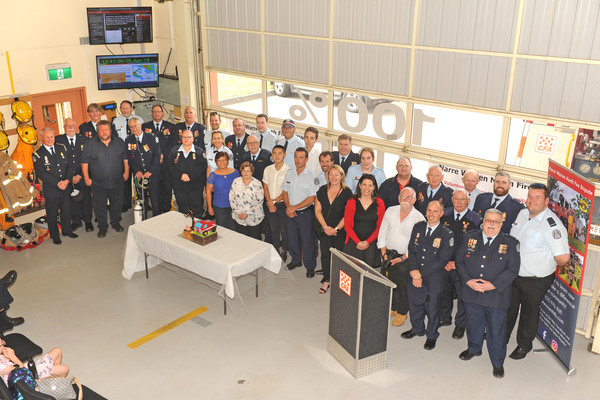 Members past and presented gathered on Saturday 6 April for a ceremony where captain Mark Dobrich and past captain Ivan Smith cut a celebratory cake to mark the occasion. Commander Arthur Haynes addressed attendees saying a lot had changed but the volunteers’ passion in serving the community had lived on. 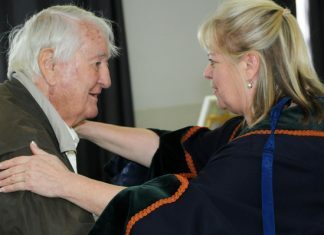 “Len Sonogon donated half an acre of land to the brigade in 1963. 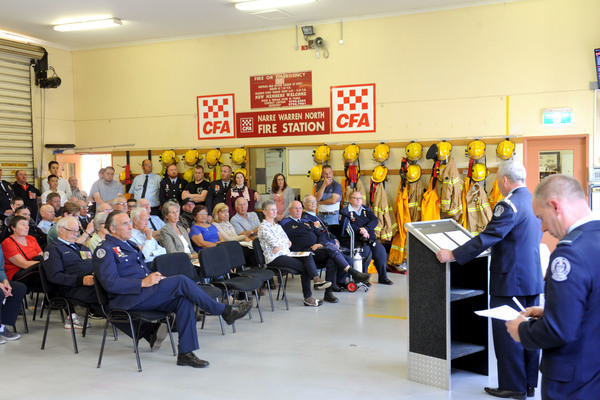 The brigade some years later built the first stage of the fire station with the assistance of a small contribution from CFA. “The major fundraising activity was an annual bonfire night, five dollars all you can eat and drink. “After the first year, the system had to change due to the amount of alcohol being consumed. All the profits were being drunk,” Mr Haynes said. He said the brigade purchased their own “old brick” truck in 1972 which had a 1000 gallon tank fitted with a high capacity pump and a large German monitor. 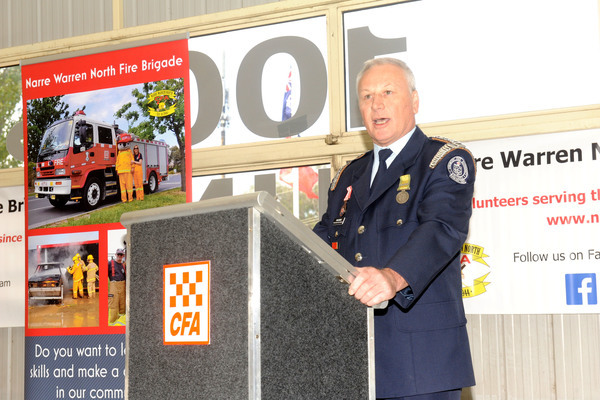 “Operationally the brigade has experienced a number of major fires within the boundaries of Narre Warren North,” he said. This included a Churchill Park fire in 1972, and a man who decided to burn a bush around the end of King Road in Harkaway in 1975, he said. 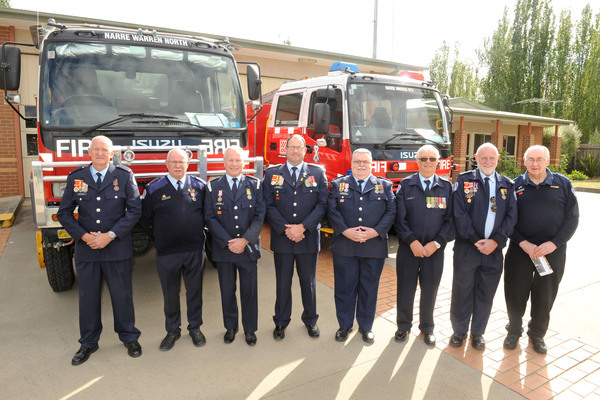 The brigade also assisted in the Black Saturday fire 10 years ago where seven homes were destroyed and several others severely damaged in Narre Warren South.